Heydar Aliyev Center, located in Azerbaijan, is among the world’s 8 most beautiful concert halls in 2019, according to the Vogue. 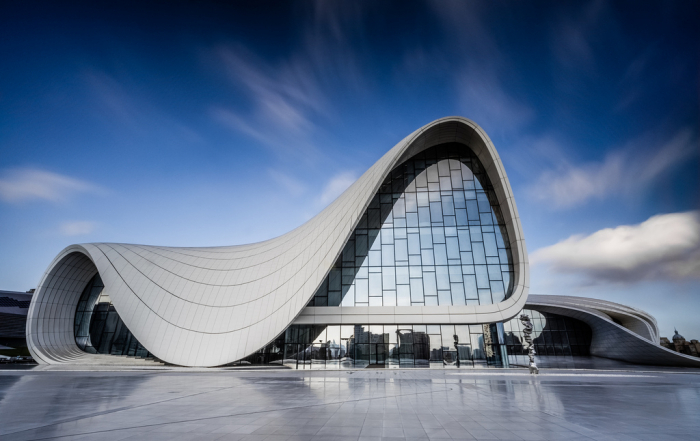 “In the heart of Azerbaijan’s capital, the Heydar Aliyev Center is one of Zaha Hadid’s true masterpieces, with its beautiful curved structure and giant glass front. Breaking free from traditional 20th century Soviet architecture, the building symbolized a new cultural era for the country. Perched on top of a hill, it dominates the city, its UFO shape intended to be an expression of the diverse culture within the country, representing the optimism of a nation that is looking towards the future,” says Vogue. Other concert halls included in this list are The Royal Albert Hall in London, The Walt Disney Concert Hall in Los Angeles, The Sydney Opera House, The Palais Garnier in Paris, The Elbphilharmonie in Hamburg, The Oslo Opera House and The Auditorio de Tenerife.